Alliances - Ingenium Technical Services, Inc. The AR Tech division of A&R Tarpaulins Inc. is an ISO-9001:2008 & AS9100C registered manufacturer of technical & engineered fabric products, collaboratively designed, engineered, and manufactured for technical and aerospace applications. Our products and services include: EMI magnetic shielding covers, PLF (Payload Fairing) acoustic blankets, MLI (Multilayer Insulation) blankets, static dissipative, anti-static and conductive space flight hardware assemblies. B&A Engineering Inc. is a vibrant, growing business with its primary focus, and core business, centered around developing Space Flight and Avionics Systems and Instrumentation. 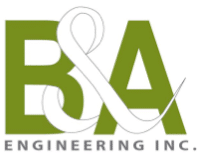 B&A Engineering’s highly-qualified and capable staff work directly with clients to develop systems from initial concept and specification to final testing, system verification, environmental and quality testing, and final implementation. 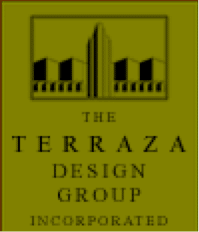 The Terraza Design Group provides design, engineering, and consulting services to a diverse client portfolio. Terraza specializes in the mechanical design of non-flight satellite ground support equipment, tooling design and technical documentation that supports these design efforts. SCI offers a full range of consulting services, but with a different focus than most consulting organizations. This group has been formed to provide the aerospace industry with a resource at a time when there seems to be a need to go back to basics. The Satellite Consulting group has been assembled from senior specialists who represent the best in their respective engineering disciplines who can augment the technical capabilities of a customer team during design reviews, failure reviews, or anytime that more senior talent is required. The team numbers more than 180 engineers, and more than 30% have their PhD. We are an aerospace engineering services and technology company founded by a group of senior engineers with extensive backgrounds in the aerospace industry. 2018 Ingenium. All rights reserved.